Why are my PayPal orders not appearing in my Store? 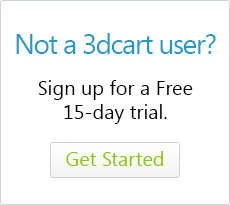 3dcart integrates with PayPal to offer your customers the option of paying through their own PayPal account. When using redirect methods like PayPal Standard and PayPal Express instead of "inline" methods like PayPal Payments PRO and PayPal Advanced, the customer enters the payment information at PayPal's website and then comes back to a confirmation page at your website. The main requirement in this process is for the customer to return to your 3dcart store. If the shopper never gets to the Confirmation Page; even though their payment was received via PayPal, the order is not confirmed on your 3dcart store. Therefore, the system doesn't generate a New Order, the email to the customer is not sent out and the product inventory is not deducted. 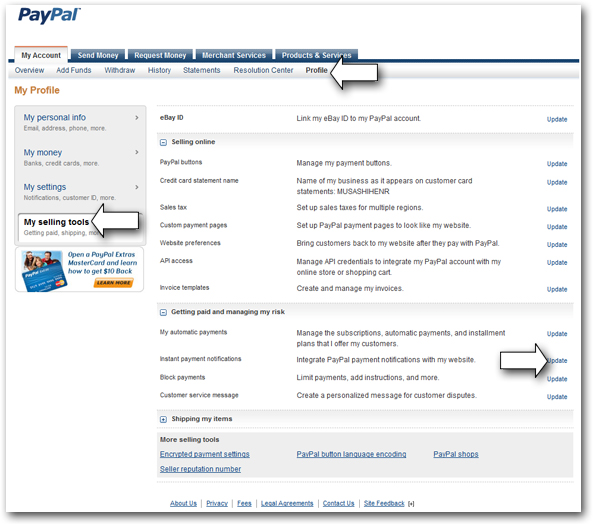 The following information mostly pertains to redirect methods of PayPal Payment. These are payment options where the shopper is directed to a PayPal login screen where they log into their PayPal account, make payment and are then redirected back to your store. A common example of this is PayPal Express. Keep in mind that, when using PayPal Pro, you are also additionally giving your shoppers the option of using PayPal Express during checkout. Therefore, the following will still apply and should be checked in case you receive orders which were paid using the PayPal Express option that is included with PayPal Pro. Verify that your Store URL is valid and corresponds to your store. This is the address used by PayPal to come back to your store and confirm the order. If you have your Store at a different address than your main website then you need to enter the URL of your store and not the URL of the site. If your site is working under the "domain.3dcartstores.com" address then that's the URL that needs to be entered in this section. From your Online Store Manager go to Settings ->Design ->Store Status. Make sure this feature is set to "Open"
The reason you need to have your store Open is because; if the store is closed, PayPal will not be able to communicate with 3dcart's checkout process in order to "complete" an order. Click on "Website Payments Preferences "
The "Auto Return"option should be ON. The "Return URL" will be replaced with the return URL that we pass to PayPal behind the scenes. In this field, just add your Domain Name, http://www.example.com. Click "Profile" on the top menu bar. Under "Selling Preferences", click "Website Payment Preferences". Under "Contact Telephone Number", make sure you choose "On (Required Field)". You should be able to complete an order at your site, by going through the checkout process and selecting PayPal as the payment method (this option shows at Checkout step 3 for PayPal Standard). The site will redirect to PayPal's for payment confirmation and, once the payment is confirmed it will come back to your website displaying the THANK YOU page that includes the Invoice Number. Click on "Choose IPN Settings"
In the "Notification URL" field, enter your store's secure URL. 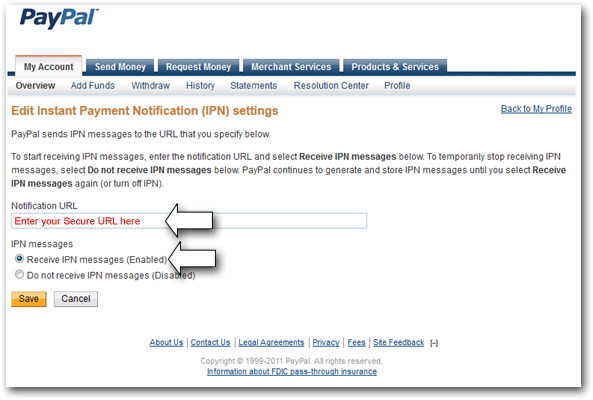 Select "Receive IPN messages (Enabled)"